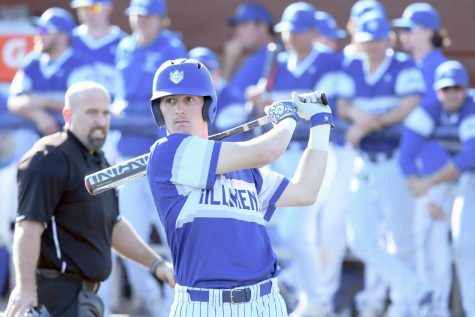 The Billiken baseball team traveled to Davidson on Friday, March 27, for the first of a three-game series. Davidson took an early three-run lead in the first inning, but SLU, who trailed in the first, scored off an RBI single from Danny Murphy in the second. In the third inning, senior catcher Colton Frabasilio got his first RBI off a double to left field, and later scored after a single from senior first baseman Mike Vigliarolo, tying the game at three. Frabasilio scored his first triple of the season with bases loaded in the fifth. He scored again, thanks to another RBI single from Vigliarolo. 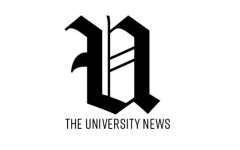 Davidson broke their scoring slump in the fifth; scoring four runs and tying the game back up at seven. 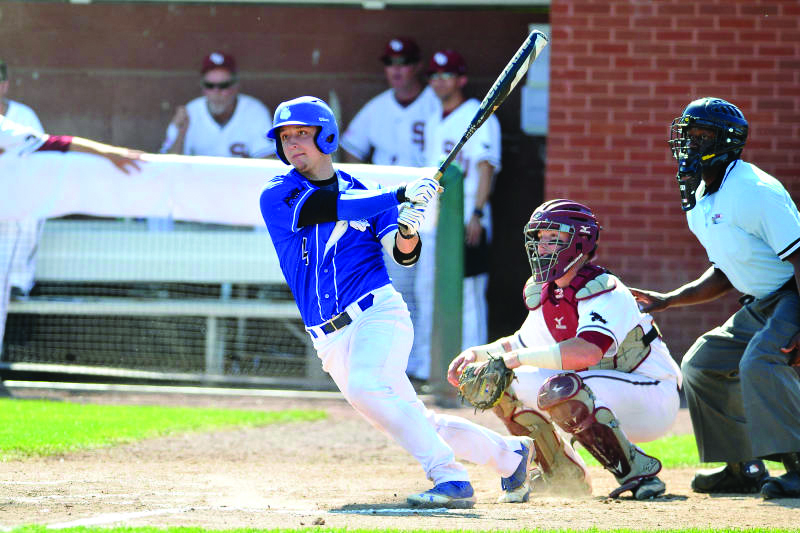 Junior catcher Jake Henson gained the lead back for SLU on a solo home run, his fifth of the season. Frabasilio finished the game with another RBI, bringing his total to five for the game, leading SLU to the 10-7 victory. 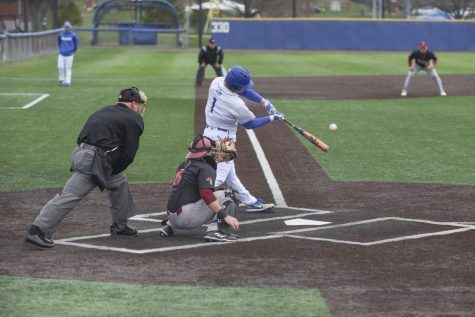 In the second game of the series, the Billikens earned a 9-0 lead: scoring three runs in the first, three in the second, two in the sixth, and one in the seventh. 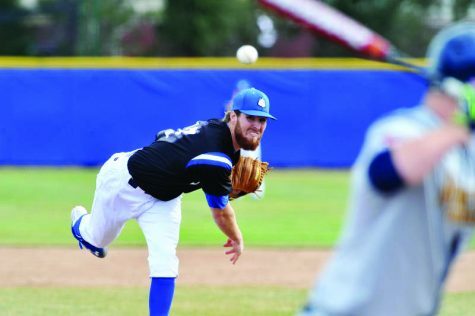 In the eighth, Davidson rallied for eight runs on only six hits, and tied the game in the ninth. Davidson won the game 10-9 in extra innings, scoring a walk-off single in the 11th inning. 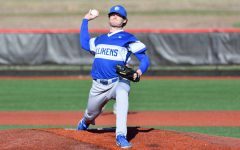 The Billikens ended the series with a 6-1 victory: sophomore right-handed pitcher Zach Girrens recorded a 7.1 innings shutout. SLU scored the first run of the game in the third on a ground out by freshman shortstop Alex King. 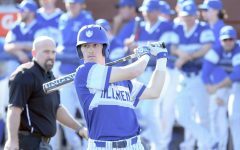 The Billikens took a 3-0 lead in the fifth after junior infielder Braxton Martinez hit a two-run single. 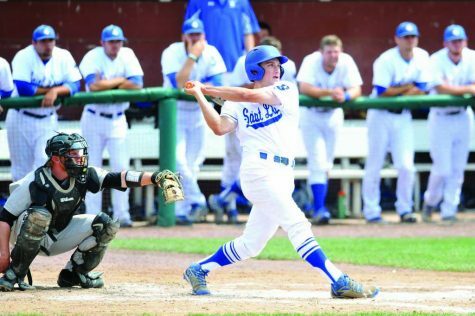 SLU added two more runs; junior catcher Jake Henson had an RBI double and junior infielder Josh Bunselmeyer had an RBI single. Vigliarolo scored the final run of the game off of a single homer, his first of the season and the 20th of his career, to seal the victory for the Billikens. The Billikens played Bradley on March 31, in Peoria, Illinois. Martinez almost had a home run in the first, but the ball barely missed clearing the wall. However, the hit allowed Frabasilio to score. Bunselmeyer brought Vigliarolo home off of a double to left field that gave SLU the 2-0 lead. Vigliarolo hit his 52nd career double, giving junior outfielder Michael Bozarth the opportunity to score. 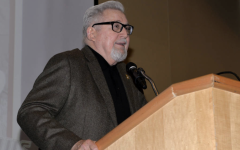 He eventually scored on a wild pitch, giving SLU a 4-1 lead. Bradley responded in the sixth, but failed to gain momentum, falling 4-1 to the Billikens. 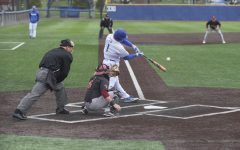 The Billikens returned home for another three-game series against East Tennessee State that began on Thursday, April 2. SLU started off strong after a delay; Vigliarolo scored the first run of the day with an RBI single. Henson added onto this with a three-run homer and Bunselmeyer followed with a solo shot to deep left field, boosting the Billikens to a 5-0 lead. By the end of the third, Martinez, King, Bozart and sophomore utility Danny Manion all scored to build a 9-0 lead. The Buccaneers didn’t go quietly and rallied in the fourth scoring eight runs. 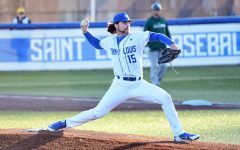 The score stayed 9-8 till the fifth when SLU scored off an overthrown ball and resulted in a 10-8 victory for the Billikens. 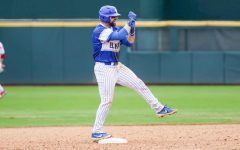 The Billikens clinched their 20th win of the season in the second game of the series. 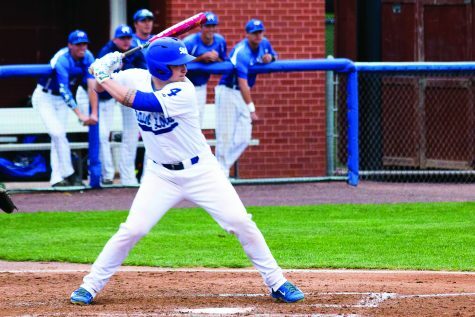 Although the Buccaneers scored first in the fifth, Vigliarolo and Bozarth had RBI singles to give SLU a 2-1 lead. ETSU tied the game in the top of the sixth, but the Billikens responded with seven runs in the bottom of the frame for a 9-2 lead. ETSU scored two in the seventh, but Henson had a double in the eighth that put SLU on top 11-4 for the win. In the final game of the series, Bozarth had a season high three steals against ETSU. SLU scored 14 runs off 18 hits to successfully defeat the Buccaneers 14-3. 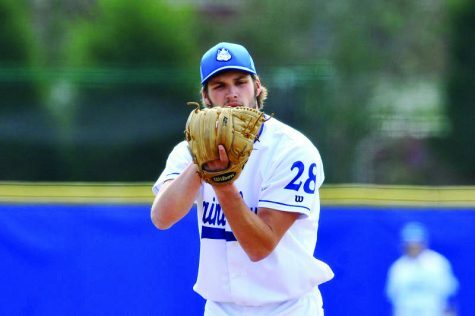 Girrens was credited with the win; throwing five innings, allowing six hits, three runs (two earned), one walk and seven strikeouts. 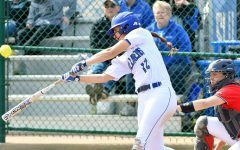 The Billikens traveled to Champaign on April 8 to play a single game against no. 12 Illinois. SLU got on the board early in the first after Frabasilio scored off of a double to left field from Henson. Illinois struck back in the third, scoring two runs and then another three in the third to take a 5-1 lead. The Billikens scored again in the top of the sixth, but Illinois secured the victory in the bottom of the frame with two more runs. The score remained 7-2, resulting in a loss for the Billikens who fall to 21-11 on the season. 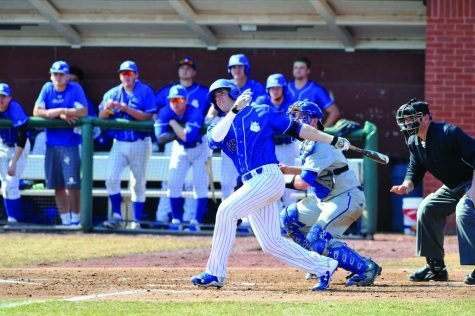 The Billikens will return home for a three-game series against La Salle on April 10.